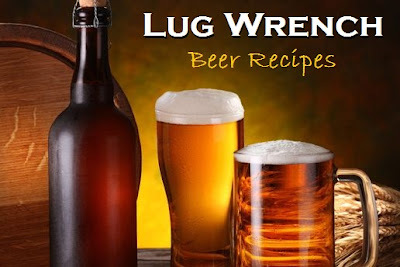 While wandering through the over 300+ posts we've published here at Lug Wrench, I noticed there are a considerable number of beer recipes given and discussed. Even as the author of many of them, there were several recipes that I had completely forgotten about. So I wanted to compile all the information into a single post, which will make it easier to refer back to. Eventually, Tom and I will create a static page that contains similar information to what is below. But in the meantime, I wanted to list out all the published recipes that can be used for everyone's reference. We've organized the recipes into rough categories (based on origin) to aid navigating the list. In the cases where a recipe overlaps more than one category, we'll just pick one arbitraily. Single Hop Beer Experiment - an APA recipe designed to allow for multiple single-hopped beers. Frozen Loose Change - Scottish 60/- based on Nathan Smith's beer of a similar name. Mason Dixon Line Mead - Made with the same VA and RI honey as Midnight Wheat #1. If you know we did a beer that is not listed here or have any feedback on the above, please let us know - we love to hear it! "Blessed is the mother who gives birth to a brewer."